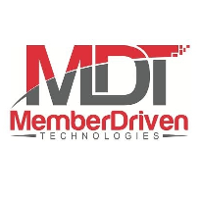 Four credit unions in the US have selected Member Driven Technologies (MDT) to host the Symitar Episys core banking platform and provide IT solutions for their institutions. The quartet comprise People Driven Credit Union and OUR Credit Union – both in Michigan: and Cardinal Credit Union in Ohio, and Tennessee-based Veritas Federal Credit Union. Tina Dix, president and CEO of OUR Credit Union, says MDT has a “strong reputation within the industry” and it needed a system that would “improve operational efficiencies and a platform that would grow and evolve with us”. According to MDT, it currently provides core processing to approximately 93 credit unions with more than $22 billion in assets and approximately two million members. It says it has a “hybrid approach” to outsourcing as it reduces the resources required to host IT services in-house, and provides every credit union client with a private server.